It’s finally summer here in Oklahoma and you know what that means — it’s time to crank up the AC! 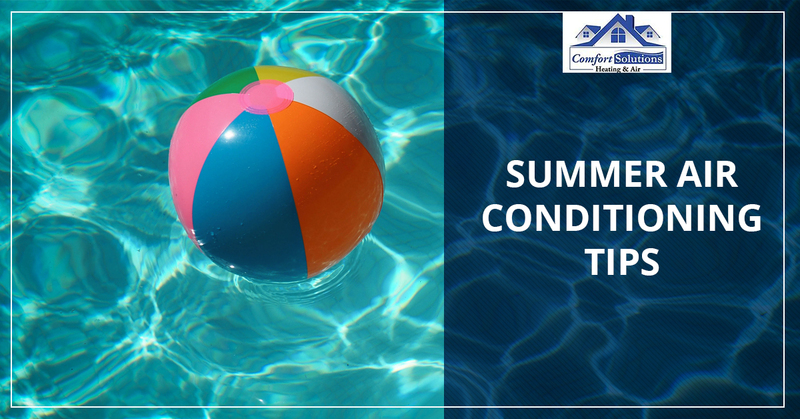 Here at Comfort Solutions Heating & Air, we want to ensure that your air conditioner is working at full force by the time the hottest days of the year hit. Maybe you’ve already tried turning your AC on this year only to find it doesn’t work as well as you were expecting it to or maybe it doesn’t work at all. We’re here to change that. 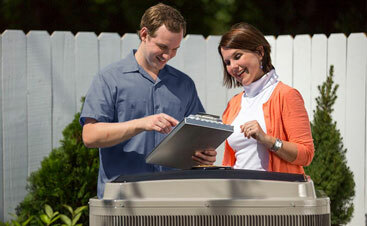 Keep reading to learn about some summer air conditioning tips to keep your home cool. Air filters should be checked at least once per month. This is even more important when summer hits because allergens and dust start to accumulate. Your system will have a hard time keeping up if the air filter is clogged and it could even result in permanent damage to your AC system. The great news is that air filters can be replaced by anyone and you won’t need to call an HVAC specialist to take care of it for you. Just remember that there are various sizes and types of filters, so if you have any questions about which one is right for your home’s AC system, be sure to speak with an HVAC specialist. Think of changing your air filter like changing the oil in your car, you may not immediately notice the effects of a dirty air filter, but it will have a long-term effect on the overall condition of your system. One simple trick to improve the efficiency of your AC system is to ensure there is shade covering your air conditioner during all times of the day. AC units are typically installed right next to the house so yours will likely be in the shade for at least half of the day. But if you want to do even more, you can plant some trees or shrubs around it to protect it from the sun. Have you ever walked into your home after a long day of work only to find out that the home is sweltering hot and you need to crank up your air conditioning in order to bring it back to a bearable temperature? Before leaving for work in the morning, try shutting all your curtains and turning window blinds in the opposite direction they’re normally facing. This will block almost all light from getting in and once you get back, your home will be nice and cool. Never forget to reverse the direction your ceiling fans are turning in the summer. There should be a small switch on the side of your fan that indicates the direction it will turn. Turn the switch and stand under it to ensure there is a breeze. In the summer, fans are designed to create a breeze in the room that will keep you cool, whereas, in the winter, they’re designed to move warm air closer to the ceiling towards the ground. These are just a few helpful air conditioning tips for this summer. Homeowners often get stressed out about saving money on energy bills, especially during the summer and winter when the weather is at its most extreme. 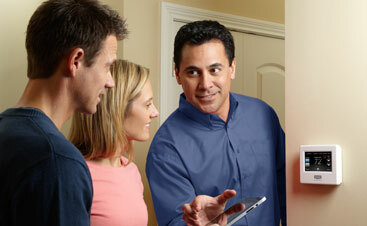 But at Comfort Solutions Heating & Air, we want to eliminate this hassle. If you live in Oklahoma City, Norman, Lawton, or Duncan, give us a call and we’ll ensure your air conditioner is in peak operating condition before the hottest days of the year.